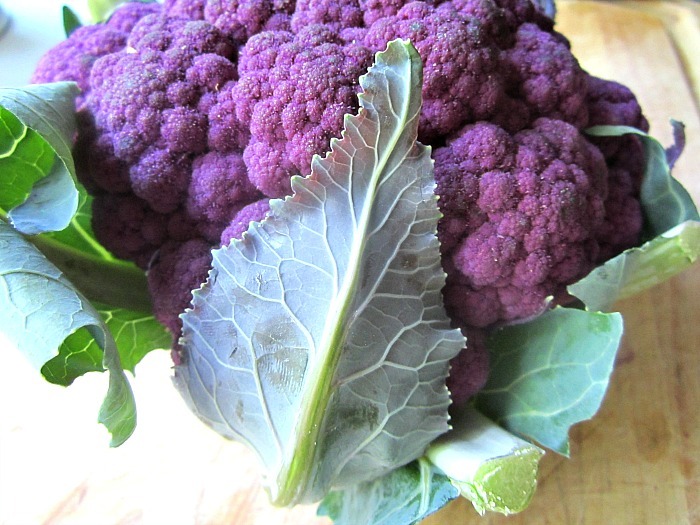 No real recipe here today, just wanted to show off some pretty summer NJ produce. 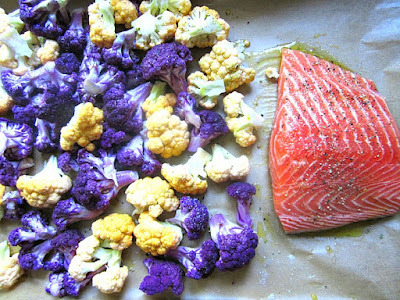 Who knew all of these vegetables came in so many colors? 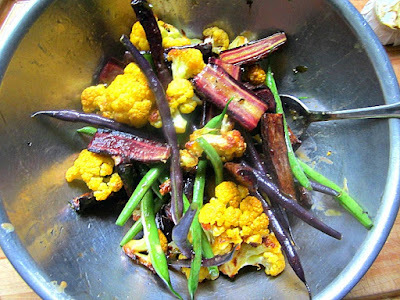 When I was a kid, all vegetables were green, or so I thought. 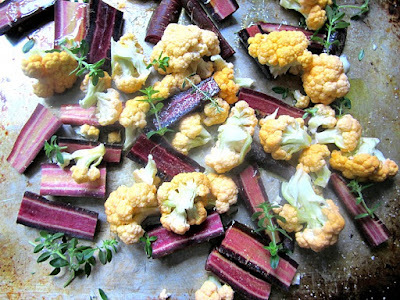 Now there are purple carrots, orange cauliflower, rainbow chard, yellow beets.......nature's color wheel. 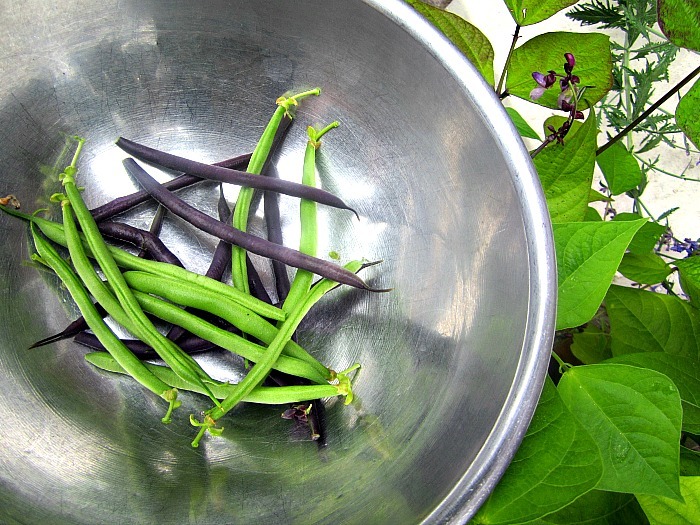 We are growing green beans, purple and green in pots on our driveway. We started them from seed and we have enough for a few salads each week. 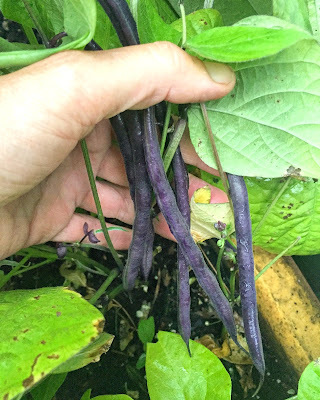 Warning: Though the purple beans may look glamorous, once you cook them they turn green! So, I keep them raw and throw them in salads for some purple prettiness. Speaking of purple.....I feel like I hit the lottery when I see purple cauliflower at the farmer's market. I buy every color I can get my hands on. Here, I roasted a big hunk of salmon with the mixed color cauliflower on one sheet pan. 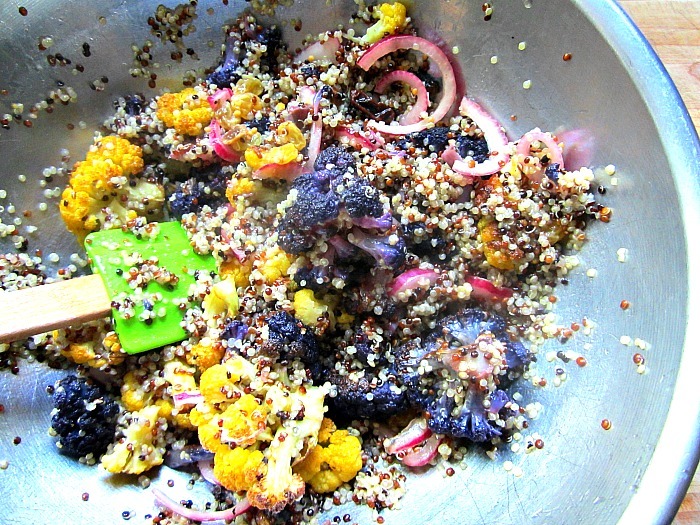 Mixed them up with quinoa and some other good stuff (recipe here) and served w/ the salmon. 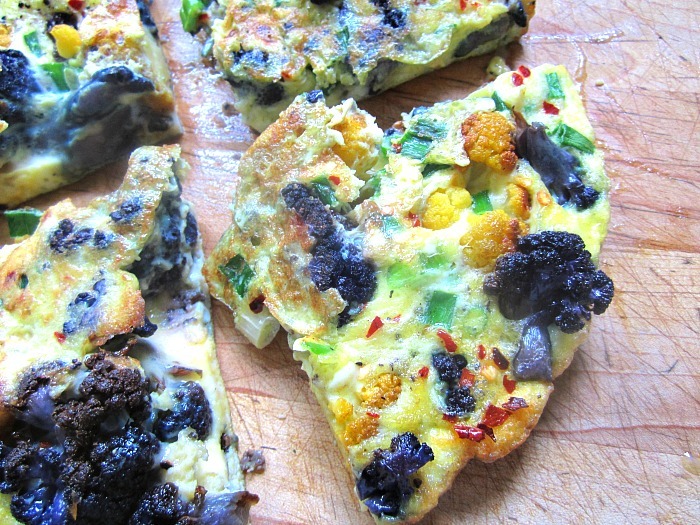 Save some leftover roasted veggies for tomorrow, so you can make this delicious frittata with green onions, roasted colorful cauliflower and Parmesan cheese. Next week will be the start of tomato season here in NJ, so you had better get your tomato vision in check. 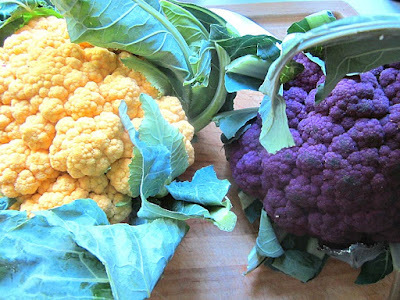 I've heard that the different colored cauliflower tastes the same as the regular. Is that true for the green beans too? What about purple potatoes? I know that they cost more at the store but do they taste different? I meant to say, we have cherry tomatoes here in Northern Virginia but the bigs guys are still green. I've got a bumper crop growing with plans to do more canning without having to buy seconds this year. I'm down to my last couple of jars from last year so things are getting desperate. Come on tomatoes! Truth be told, they all taste the same. 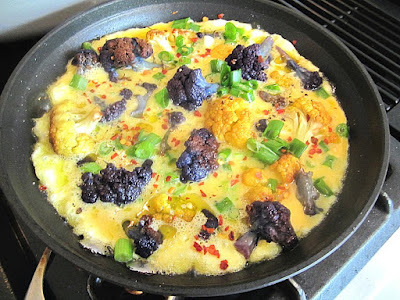 I buy purple potatoes and grow purple basil and beans......even the cauliflower tastes the same, but it's SO PRETTY! I can't help myself.